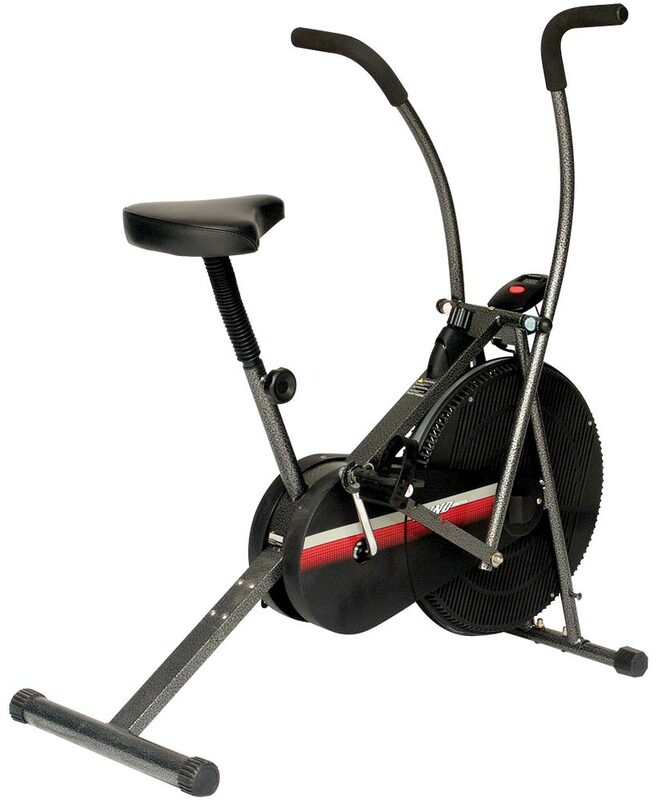 Air bike with movable handle bar that delivers beneficial exercises for both upper and lower body. This equipment runs on air resistance that offers low friction, high durability and smoother operation. Air bike with 500 mm Flywheel for complete exercise. Permanent Link Dual action handlebars cycling and rowing simultaneously delivering the benefits of exercise to lower body and upper body. Assembly Size: 1050 x 540 x 1160mm. Net Weight: 23 Kgs, Max. User Weight : 100 Kgs. Fly Wheel 500 mm Flywheel for complete exercise. Programs Permanent Link Dual action handlebars cycling and rowing simultaneously delivering the benefits of exercise to lower body and upper body. To Recieve updates and possible rewards for Cosco CEB-604 A please sign in. To Recieve updates and possible rewards for Exercise Bike please sign in.